Amazon hasn’t “yet” harmed the retail sector in Australia, with Coles and Woolworths both experiencing a significant boost in brand value, according to a new report by Brand Finance. The independent global brand valuation and strategy consultancy Brand Finance released the annual ‘Australia’s 100 most valuable brands’ findings today, at the World Economic Forum in Davos. It considers brand value to be the net economic benefit a brand owner would achieve by licensing the brand in the open market. Telstra topped the list, followed by retailers Coles and Woolworths, which boosted their brand value by 31% and 23% respectively. The increased brand value leaves Coles valued at $11 billion and Woolworths at $11.2 billion. Bunnings’ brand value grew by 33% to $2 billion, with Westfield’s brand value also at $2 billion, up 30%. Brand Finance MD Mark Crowe said the fear Amazon’s arrival brought with it to Australia has yet to materialise. “Woolworth’s revival has continued, moving up two places to become Australia’ second most valuable brand,” Crowe said. 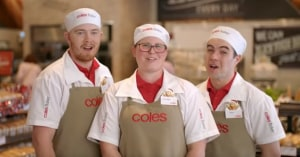 “Strong customer metrics and improved brand investment have seen Woolworths remain ahead of Coles, which has also moved up two places to claim the third rank following an increase in brand value of 31%. Kmart’s brand value also saw a 35% increase, putting it at $1.5 billion and JB Hi-Fi saw a 14% boost, putting its value at $1.4 billion, while Harvey Norman’s increased by 34% to $1.2 billion. Telco Telstra scooped the number one spot overall when it comes to the most valuable brand. Crowe said Telstra’s key customer segment delivered “high quality and reliable operations across its entire portfolio”. “Telstra continues to face domestic challenges from a variety of competitors in its core services, putting downward pressure on its overall brand value,” Crowe said. Crowe highlighted the difficult year for banks, saying they suffered after the Financial Services Royal Commission. ANZ’s brand value dropped by 13% to $9.1 billion, putting it in fifth place. “While the banks underlying financial performance is sound, the adverse impact on brand equity will require significant brand investment to mitigate against erosion of brand revenues over the next 12 to 18 months,” Crowe said. The other big banks experienced less change. Commonwealth Bank remained at $10.6 billion and NAB increased its brand value by 4%, putting it at $8.6 billion. The report also measures ‘brand strength’, which it considers to be efficacy of brand performance on intangible measures relative to its competitors, including marketing investment, familiarity, loyalty, staff satisfaction, and corporate reputation. It found that Qantas topped the strongest brand category, which was held by Commonwealth Bank last year. The airline was followed by Harvey Norman and Virgin Australia. Commonwealth Bank dropped down to seventh place.